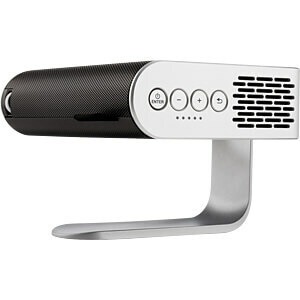 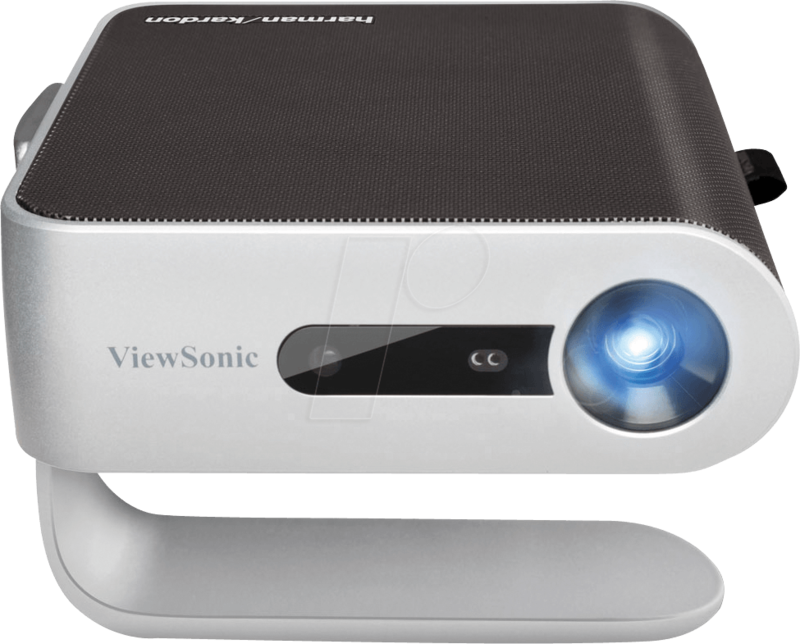 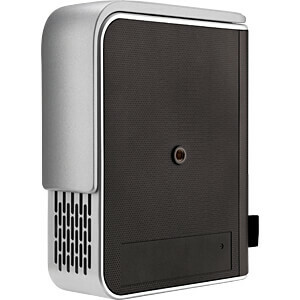 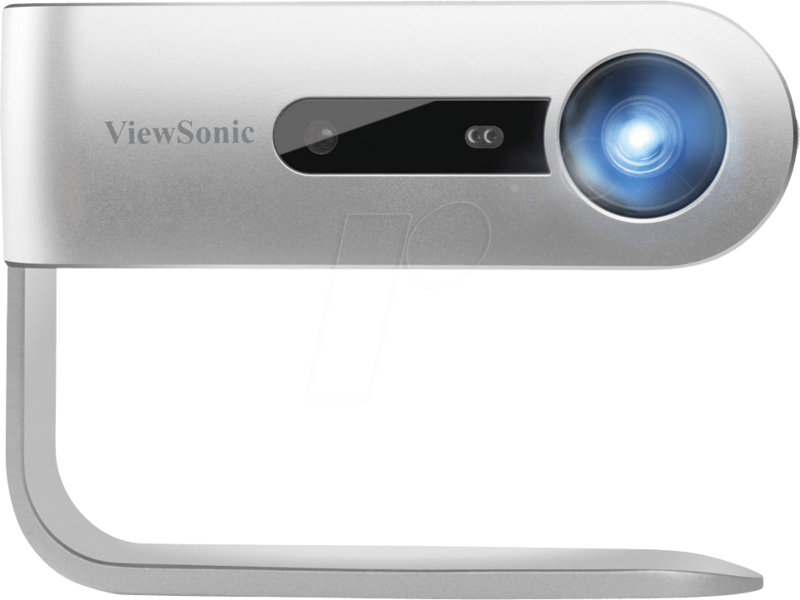 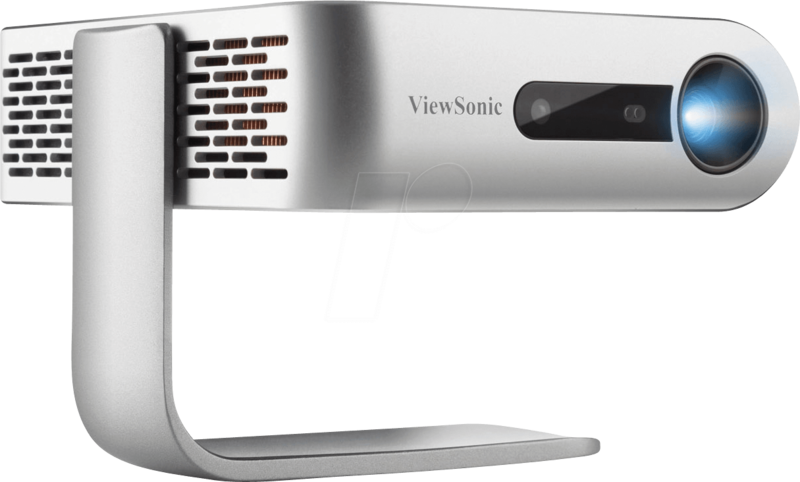 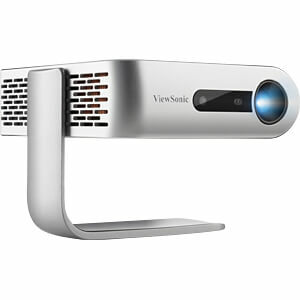 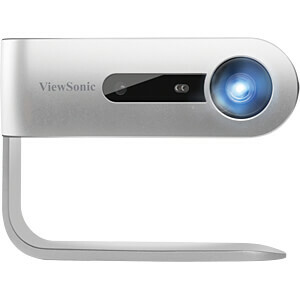 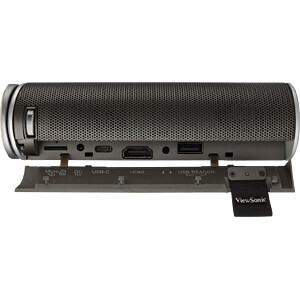 The award-winning ViewSonic M1 is an ultra-portable LED projector that provides entertainment in virtually any room. 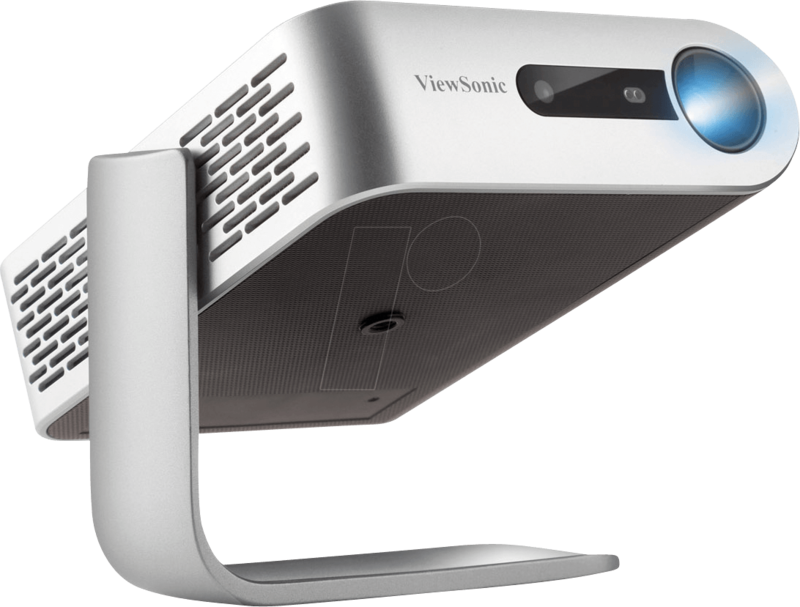 With a built-in battery and a projector lamp life of up to 30,000 hours, this projector delivers years of multimedia entertainment wherever it goes. 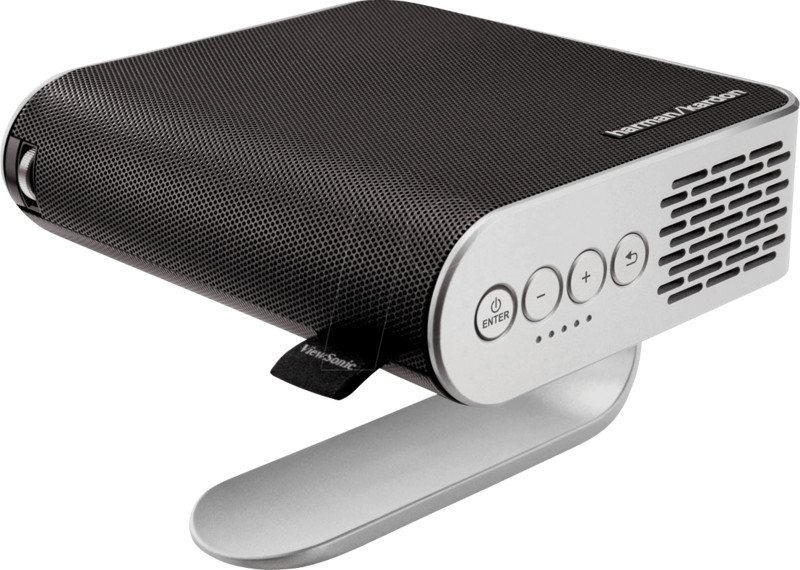 The compact and lightweight design of the M1 weighs less than 1 kg and is therefore ideal for flexible indoor and outdoor use. 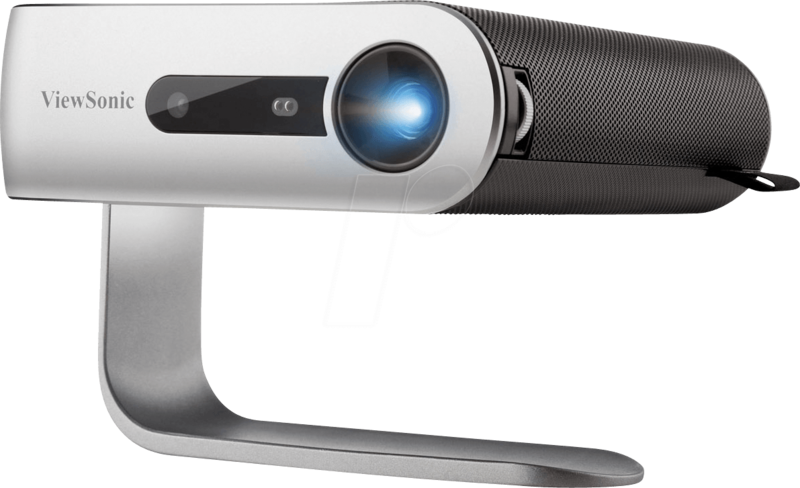 An integrated smart stand allows easy 360-degree adjustment and also serves as a lens cover. 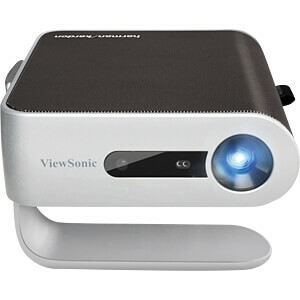 Once the lens cover is removed, the projector automatically turns on at full brightness for instant entertainment. 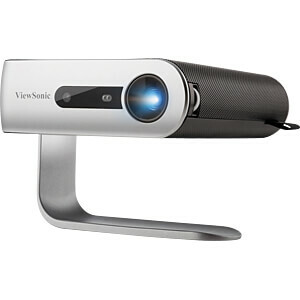 The lens also has an auto-safety feature that turns off the projector when objects are detected too close to the lens. 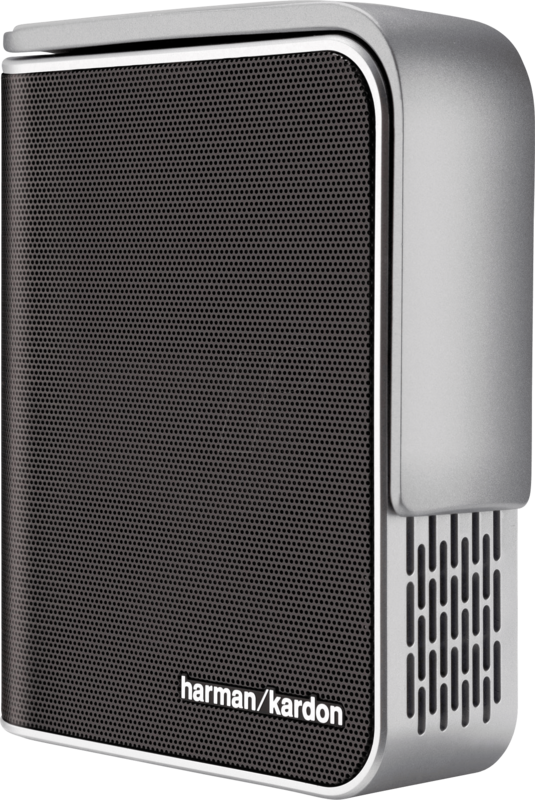 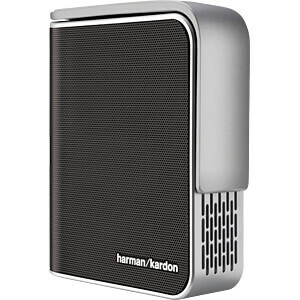 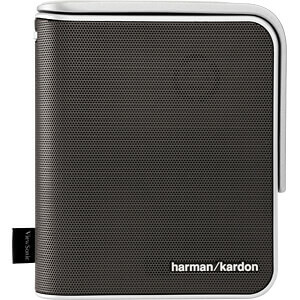 Dual Harman Kardon speakers provide powerful and clear sound for multimedia content, while a short-distance lens can display large images in small rooms. 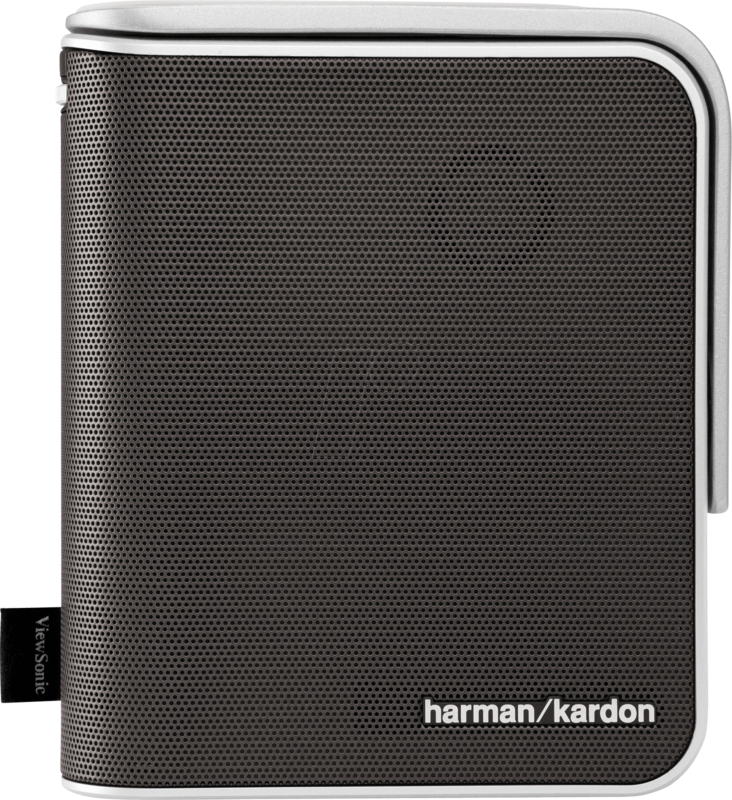 Versatile connectivity options include a MicroSD slot, USB type A, USB type C and integrated 16 GB memory. 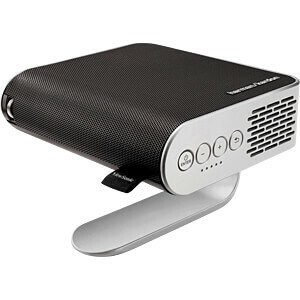 This makes the M1 an excellent option for sharing and viewing videos and other multimedia content. 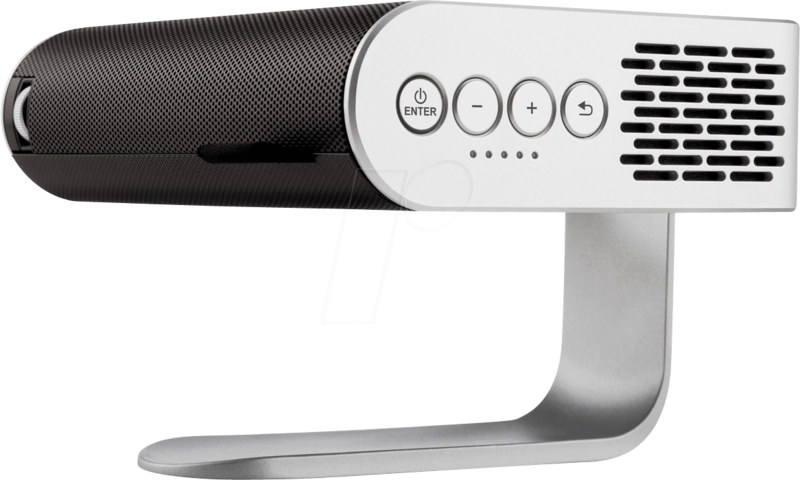 This device is equipped with a mains plug that cannot be used / is not approved for use in the country you specified in the shop settings. 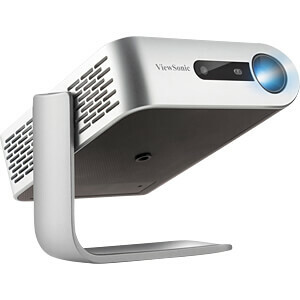 For operation of the device, only suitable and approved mains cables and corresponding adapter plugs may be used. 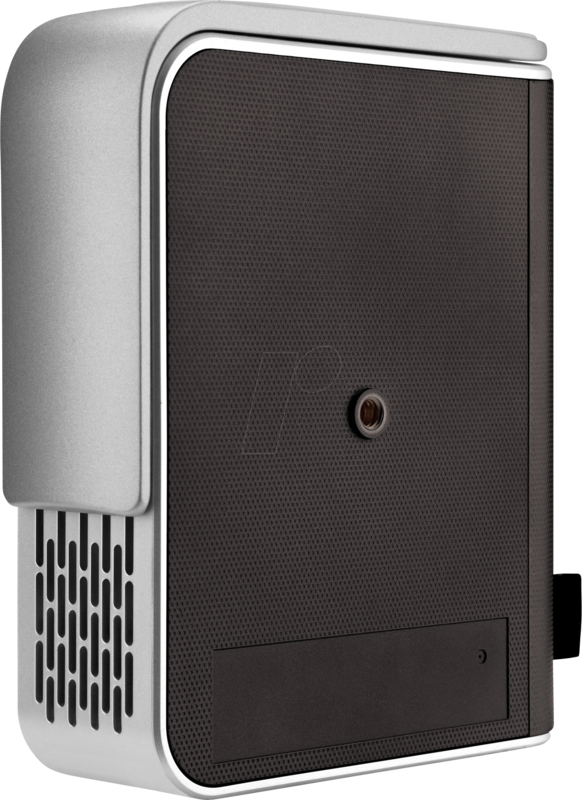 Please observe the relevant statutory regulations in the respective target country.